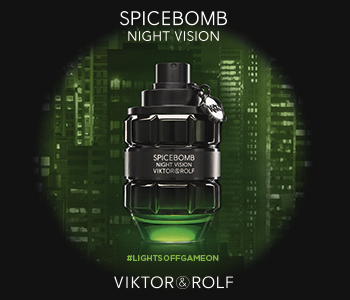 Described as a masculine grenade of sensuality and adventure, Viktor & Rolf Spicebomb is an olfactory explosion that offers its wearer a dominant sense of authority with eccentric Viktor & Rolf flair. Compelling in every way, its alluring composition comes alive on the skin, with its unique blend of warm, spicy nuances. Dominant notes of leather, tobacco and vetiver evoke a truly mesmerising concoction. Infused with addictive accords, Spicebomb is available in a full grooming routine for you to layer, enjoy and immerse into the aromatic scent.